This jolly Santa illustration was designed and created by the Arion Group with colored pencils for a Hometown Pizza point-of-purchase display in Lexington, Kentucky. 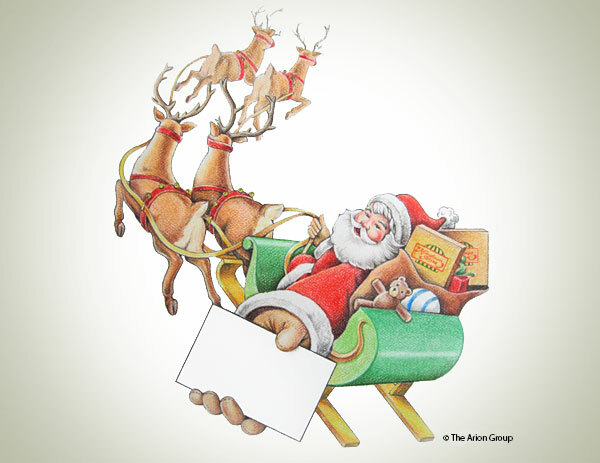 A pad of coupons was attached to the blank card in Santa’s hand for customers to peel off and bring back for their next visit. For help illustrating your next project, contact us today.